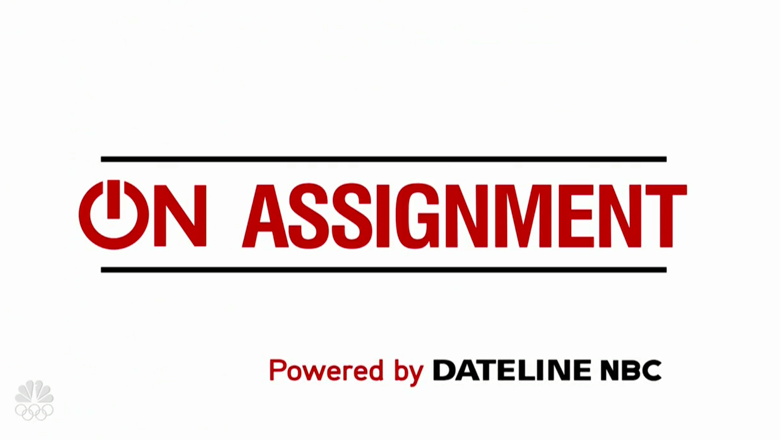 NBC News‘ entry into the Sunday evening newsmagazine slate, “On Assignment,” debuted this weekend, originating from a working newsroom space in 30 Rock. 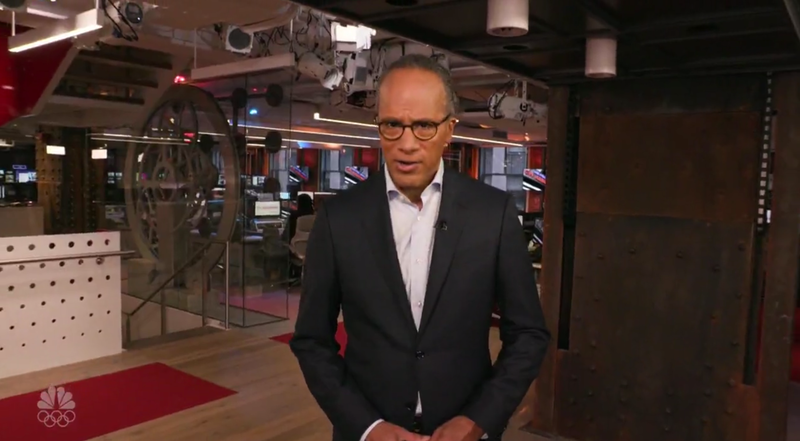 The show, hosted by Lester Holt, used a working newsroom on the fourth floor of 30 Rockefeller Plaza as its set. The location has popped up on MSNBC from time to time in the past and is a recent addition on-air with design by Clickspring Design and lighting from The Lighting Design Group. 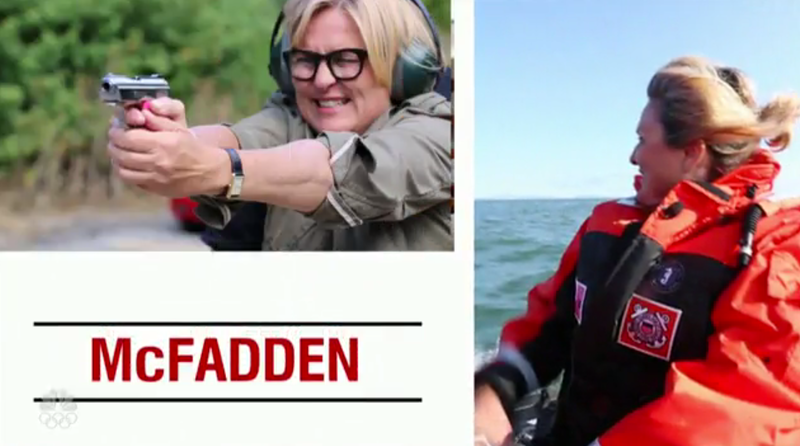 The show’s graphics, meanwhile, are minimal, and stick the white and red color scheme the network used in the promos for the new show. 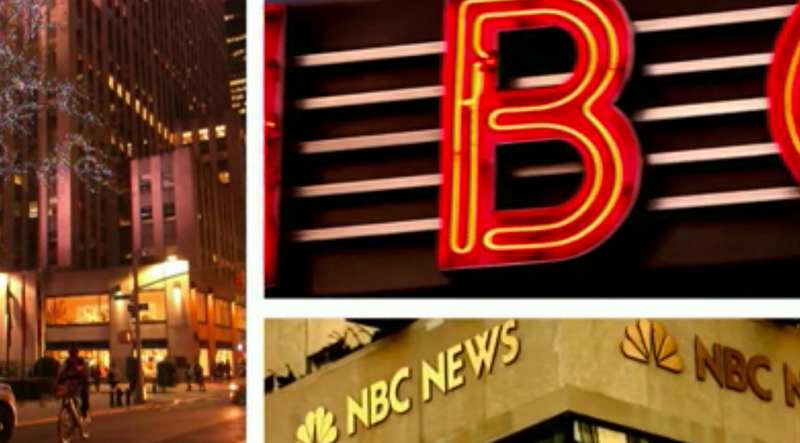 Images in the open center around photography of Rockefeller Center, including the marquee over the entrance and the exterior of Studio 1A framed in rectangles bordered with thick white strokes. 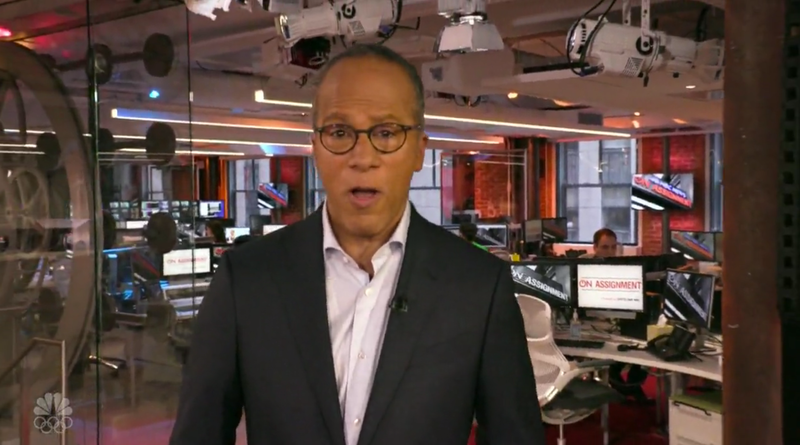 The show opened on a tight shot of some newsroom work stations and then quickly pulled out to reveal Holt. 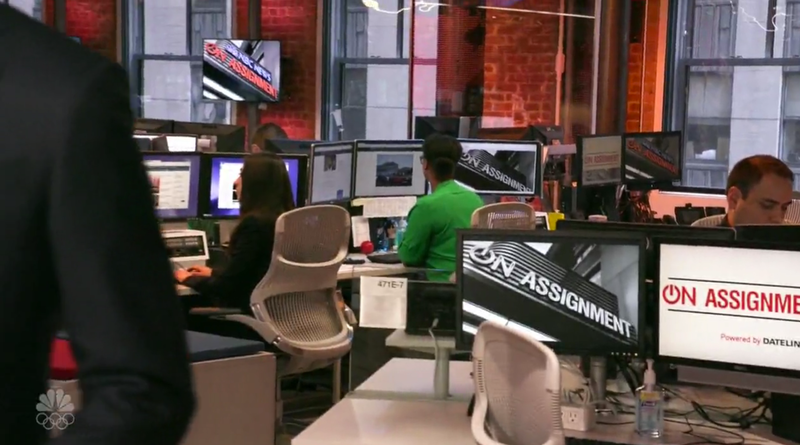 Once on camera, Holt took a short walk through the space, which included workstations retrofitted with “On Assignment” wallpaper graphics and an industrial, sleek design that combines exposed brick and rough services with uplighting and more modern metallic and white surfaces. The camera then swung around, with Holt positioning himself in front of a video wall with branded graphics. The video wall, from Primeview, is made up of 55″ PRV55SNG01-SDI monitors. 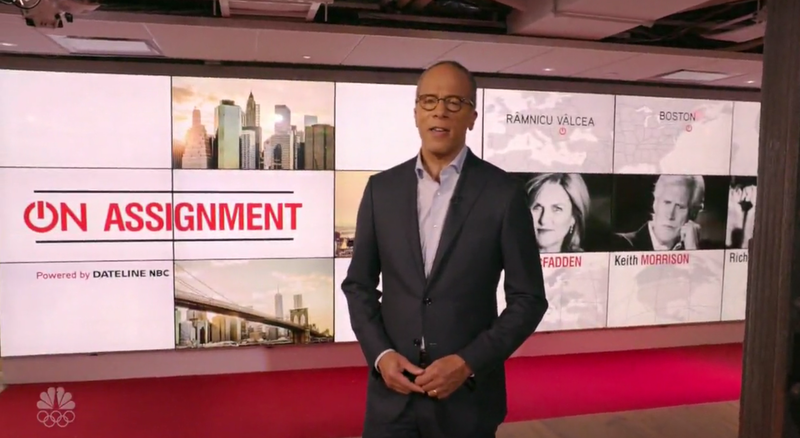 The graphic features the show branding as well as photos and names of each correspondent featured in the episode, along with a map depicting their assignment location.